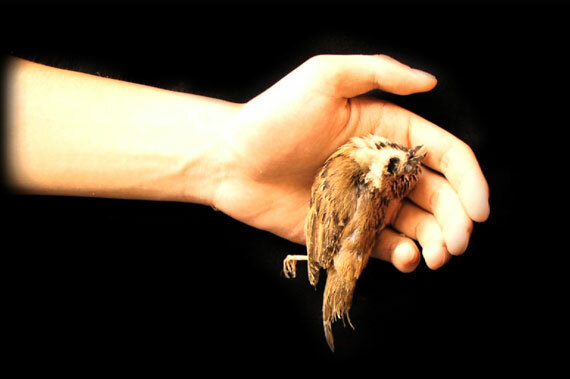 The work “Birdsong” (2013) shows a hand filmed from above. 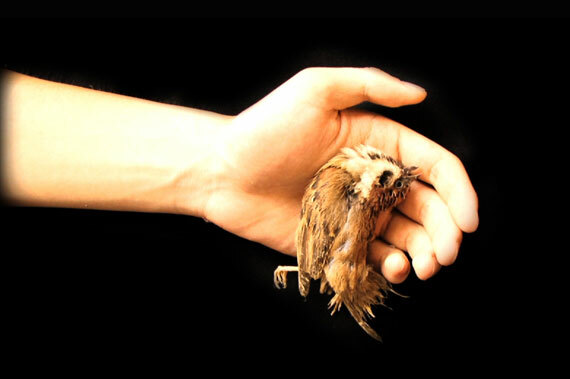 A small bird lies motionless in the hand with his eyes closed. After a while the sounds of nature can be heard. A Chinese flute starts to play a song. The bird opens his eyes and moves his wings on the sound of the flute. When the song ends, the bird closes his eyes again and rests in the hand.